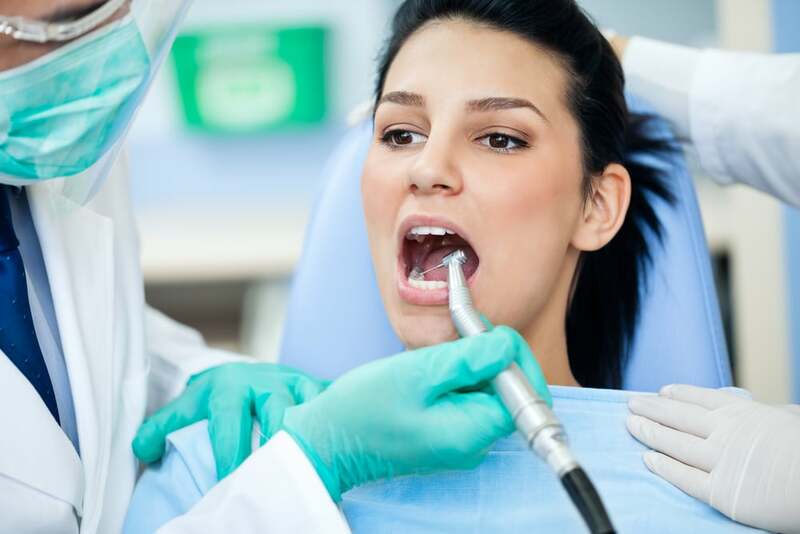 You may be surprised to know that fillings have been around for as long as humans have practised dentistry. As treatment methods evolved, filling options have too. This journey has led to the white composite fillings we have today which offer an instant treatment for decayed or damaged teeth. Dentistry is one of the world’s oldest professions. In fact, if you needed a tooth extracted, you would often visit a barber in the olden days. It was only recently that dentistry became available to everyone, thanks to concepts like universal health care. So, here’s a look at the timeline of dental fillings, and the highlights along the way. The earliest evidence of fillings was discovered in the body of young man found in a cave in Trieste, Italy. His teeth had beeswax fillings. This early form of dental treatment is one of the only pieces of evidence about the mysterious early days of dentistry. Evidence of gold dental prosthetics was found, which has been tied to the Ancient Etruscan civilisation. Root of the earliest use of amalgam was discovered in a Chinese medical text, where there is a reference to the use of ‘silver paste’ as an amalgam. This has led some to believe that amalgam was being used as a form of dental filling. This year is momentous. It was the year that the first known book entirely devoted to dentistry was released. “The Little Medicinal Book for All Kinds of Diseases and Infirmities of the Teeth” by Artzney Buchlein, was published in Germany. It covered everything from how to undertake gold fillings, right through to extractions. This book was intended for both dental surgeons and barbers. Gold fillings were already in use by the 1700s. However, in 1746 the first attempts at making crowns—blended with natural teeth—occurred. Claude Mouton offers a description of a procedure in which white enamel was used to make gold crowns blend in with the surrounding teeth. The world dentistry experienced a momentous occasion in 1789. Nicolas Dubois de Cheman of France introduced porcelain to the world of dentistry. Nicolas secured the first patent for porcelain teeth. In 1825, Samuel Stockton began to commercially manufacture porcelain teeth. Stockton was an American dentist, inventor and an author. He went on to found the largest factory in the world, dedicated to producing products related to teeth. As a result of his operations, porcelain teeth dominate the dental supply industry for the next century and broaden the scope of dentistry enormously. These are the years during which a controversy that still plagues the dental world began: the amalgam controversy. The American Crawcours brothers were born in Poland, studied dentistry in France and moved to the US. The brothers’ questionable business practices coupled with their controversial amalgam techniques meant the technique didn’t catch on. Unfortunately, despite warnings about the mercury levels in amalgam fillings from the American Society of Dental Surgeons, these types of fillings did continue to be used as an economical alternative to gold. In fact, the pro-amalgam camp actually formed the American Dental Association in 1859. The battle between amalgam and gold continues, as Robert Arthur invents the cohesive gold foil method which allowed dentists to fill cavities with a soft and malleable form of gold. Metal and amalgam fillings remained the most popular throughout the 19th and early 20th Centuries, with porcelain and gold enjoying some use. Today, dentists have a range of materials and techniques at their disposal, but composite resins are the most versatile and mercury-free. In fact, dhealth offers a safe amalgam removal procedure so patients can have these toxic and unsightly fillings removed. Why Should You Opt for Composite Fillings? Appearance: Composite fillings are white. In many cases, it can be made practically indistinguishable from the surrounding tooth. Most other options, apart from expensive porcelain, are visible within the mouth. This can create an issue with smile aesthetics. Safety: Composite resin is entirely safe and non-toxic, our composites are all BPA-free. Unlike amalgam, which contains mercury and its presence still sparks potential health concern. Cost: Composite fillings are a cost-effective option, making them perfect for young children. Efficiency: Composite fillings are done in one visit and often on the spot. Whereas porcelain or gold fillings will require 2 visits. Less-Invasive: Dentists have to drill and create a hole for amalgam fillings to sit in. Amalgam is not adhesive so often more tooth structure needed to be cut away to ‘house’ the amalgam. In contrast, composite fillings can simply be moulded into the cavity or hole, no matter what size and shape. This makes the treatment far less involved and painful. Composite is also easier on the soft tissue, as less tooth is removed during the process. This means there is less disruption to the gums and surrounding structures. Better Support: Composite resin chemically bonds with your teeth, meaning it doesn’t just fill the cavity, it actually strengthens the structure of the teeth. The history of fillings is a fascinating one. It is further evidence of the ingenuity of humankind. However, one part of the story is clear—composite fillings are the safest, cheapest and most effective treatment for filling cavities.